It may seem new or avant-garde even, but the new unkitchen (unfitted kitchen) that was detailed in last week’s kitchen design post is actually far more of a throwback to decades if not centuries ago. We’re probably going to sell in ten years or less and who the hell is going to buy a kitchen without upper cabinets? They’re going to think we’re the Addams Family or something! My kitchen designer looked at me like I had vomit all over my face. My mother says I’m nuts when I tell her my vision. Hopefully, they’ll come around. The kitchen designer I’d fire. She won’t ever get it. You can’t teach a caged bird how to fly. I received a recent comment about Downton Abbey and I had a light bulb moment. Here is our quintessential Victorian/Edwardian “unkitchen” in Downton Abbey. I mean, how many cooks do we have here? And how many people were they preparing three meals a day for? and sometimes much more than ten. 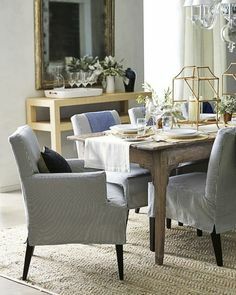 Yes, it’s fiction, but if they can create huge banquets with the finest crockery, stemware and silver without all of those cabinets, we can too. As for resale. Fine. You’re worried. You should be. That’s good but tell me. Tell me honestly, which kitchen would you rather own? That your kitchen designer is trying to sell you. This is not what I mean by mismatched! Let’s first focus on the island that most medium to large kitchens have. Notice what’s missing in Barbara’s gorgeous kitchen? I’m not going to tell you that you can’t have them. You can have them, and you could maybe have storage on the stool side depending on how deep the island is. (for seldom used items.) However, I would eliminate most of the stools and use the area for easy-access storage as Barbara has done. This is if space is really at a premium. It’s something to consider. Stools or storage? Here are some great kitchen storage ideas for the island. You can get a lot into an average size 8′ x 4′ island. Above is one of my favorite inventions, the microwave drawer. They also make refrigerator and freezer drawers. And mini fridges. How fabulous is this small butler’s pantry! I love this idea for dish storage. How clever is this pull out counter when one needs it for special times like holiday baking. Similar spice niches to our kitchen in Bronxville. How about this? spices hidden behind a sliding back splash! Pocket doors can be a good way of revealing commonly used appliances and then closed when finished. A popular image created by my immensely talented colleague Cheryl Clendenon. Love this little tucked away coffee station! I don’t know why this has only come into the forefront in the last decade or so, but pull-out drawers make soooo much sense! These days, cabinet makers are doing such jazzy innovations which make maximum use out of the available space. Nothing goes to waste. By having pull-outs and less deep drawers, things don’t get shoved to the back and lost as easily. One of my favorite space gaining options for smaller spaces is grabbing space that’s between the studs. You’ll only gain about 4″ of space depth wise, but it’s enough to make a big difference. This looks like a cellar or basement, but very clever use of between the stud storage in a tight space. Wonderful between the stud pantry. This was touted as between the stud storage. That would be a very thick wall and a little more than between the studs. But one might find this in an older home. Love this little between the stud niche carved out at the end of this charming butler’s pantry. This isn’t between the studs but I love these charming niches flanking the entrance to the butler’s pantry. Love Heidi’s beautifully designed cabinetry with it’s little storage areas and the white on white palette. I hope that gave y’all some great ideas for kitchen storage. Thank you so much for that Mati. I don’t expect you to know this, but all of that has been discussed in some recent posts about kitchens. (If you put in DeVol in the search box in the sidebar, they’ll all pop up) I’m a little obsessed with English kitchens and love how they’re laid out. Hi Laurel, This edition of your blog is an absolute KEEPER! I want to pass along an idea for using those narrow, tall pull out cabinets (as in Cory Holland’s & Steven Rossi’s examples) between 2 master bath sinks. I haven’t had the opportunity to try it yet, but doesn’t it make total sense? using alternatives is so well supported here! Thank you I really appreciate that because yes… it is many hours. I really do enjoy it and I have learned so much too! But last night at about 10:00, I was very much ready to be finished, but nope. There is getting all of the i’s dotted (hopefully) and formatting issues which… oh never mind! haha. Thank you so much for such a lovely, kind wonderful comment! First of all, I checked out your blog which is so pretty and I see that you are expecting so a hearty congrats! My first son’s birthday is June 18th. He’s 25 now! Laurel, thank you so much for the compliment and the congratulations! We’re very excited! And yours, already 25 years old, I bet the time flew! I agree about that mixer on the top shelf. Any time I see things like this, though, or anything else that would be unworkable or awkward in real life, I pretty much know that a stylist has been involved. Best of Luck! Two votes for your wonderful blog! Thank you for that. It’s difficult for me to ascertain if a post is good or not. While I try to make each one special, it’s great to hear that I hit the mark. Butler’s pantries are so cool. I’m going to be helping a client with a kitchen redo soon and it has a butler’s pantry. It’s another beautiful old home so should be fun! Just cast two much deserved votes for your blog, which I enjoy more than I can say. Your posts are always on point, full of great information and seriously fun to read. Best of luck! There is an old-fashioned thing my parents did while growing up that I think could be updated (by someone more talented than me) to keep dust off open shelving, at least for items not commonly used. 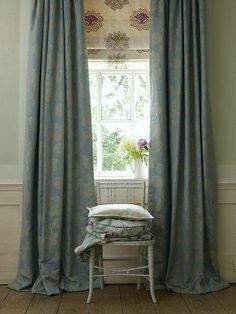 They had deep wooden shelves in the basement and my mother would hang a piece of fabric – a sort of curtain – over the open front. I sent you a message but yes, the search box is in the sidebar underneath the social media icons or in my phone is at the bottom of every blog post! 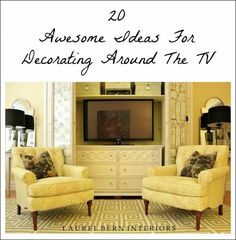 You can also search the old-fashioned way in google by putting in laurel bern interiors and then whatever you’re looking for. That usually works for me. He is not the only one for whom you are the only decorating blog! I have never followed a decorator before, but stumbled onto yours while searching for paint colors. I hope to hire you for a paint consultation soon. I noticed the placement of the KitchenAid mixer on the top shelf, as did many other commenters, and thought the same thing they did, mainly, that no one who actually cooks would put it there, haha! I also see toasters and toaster ovens placed inside enclosed cabinetry, and think that it is a recipe for a fire. Those appliances give off a lot of heat while in use. I used to keep my toaster underneath an upper cabinet which had an under cabinet lighting strip installed, until I noticed that the plastic cover for the strip had warped and melted and the cabinet had scorch marks! Thanks for another useful post with those gorgeous photos. I also voted for you in both categories, and FYI, I was able to vote again from my phone. It’s true. I don’t think some of these are real kitchens or someone came in with a bunch of stuff and prettied it up. Great point about the toaster. Love your blog, Laurel. Pinned many of your posts. Voted for you! Thank you for sharing your advice and talent. Hi Laurel! 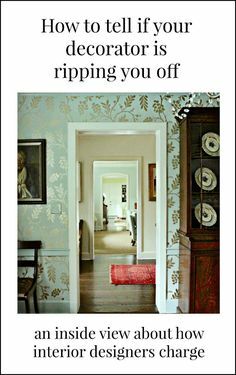 You just find the most FABULOUS photos of any other design blog!! I thought I would include a pic of my ironstone collection here….think I need to overlap more..IMG_7546.JPG it’s in my DR…….. I can’t see the photo but would love to. Always interesting and informative information that you share with all of us, thank you. I also voted (for you in both categories) and wish you good luck you are deserving of the recognition. I also own your Rolodex…excellent resources, etc. I wish you the best! we just bought a new townhouse with white kitchen cabinets and black granite counters with blue/gray painted walls. We have been looking for a backsplash, but all I see in magazines, or on Webb sites, is subway tile! Not that I don’t like it, but would like something different. And believe me, I have not one designing bone in my body, so I can use any help or suggestion you can share. That would be a great post Maureen! I’m adding it to my post ideas folder. I do have to say though, white cabinets, black granite counters and white subway tile is an awesome, clean, classic look. I lived in a townhouse too for quite some time. Actually, never put the backsplash in. This is funny, I’ve never had one! because, think about it, it can nearly half the price of the cost of their kitchen. Yes, the dumb ones I’m sure think that way. However, they could get clever and create an extraordinary storage system in a cabinet or small closet. Part of it is just lazy thinking too. They know what they know how to do and don’t want to change it because it’s become rote. Beautiful kitchens, but lots of luck getting the Kitchen Aid mixer down from the top shelf every time it is used in the photo with the text about Pocket doors. ( a BHG photo.) Mine is in a cabinet just below the counter and it weighs a ton, making it a real pain to lift up and use. I know, …I should have had a ‘lift-up” shelf built into the cabinet. Anyway, ….I laughed when I saw this one on that top shelf near the ceiling and just had to write to you. Love your blog! I voted for you and hope you win in both categories. Suzanne and Laurel – That is the first thing that I thought of when I looked at the photo that included the Kitchen Aid mixer on the top shelf! Having one, I know how heavy they are. Laurel – I love getting your emails, the photos are beautiful and I really enjoy your writing as well as your decorating ideas. Thank you! I am surprised that my big objection to open shelves in kitchens was not included in your list: The items on the open shelves get dusty and require washing much more often than items kept in closed cabinets. Love your blog and I am very pleased to vote for you! Oh Anna, my bad! And believe me, it was not at all intentional! But you are right. I think it also depends where one lives and also how much heavy-duty cooking is going on. In some of these kitchens, it looks like NONE! lol. I think I would be afraid to go in and mine can become a total mess in like two minutes!